Students looking for an urban campus with lots of diversity, school spirit, and big sports will do well here. However, they need to be willing to advocate for themselves. This is a state school with 24,000 undergrads, 37% of whom are male and 89% coming from in-state. Gen Ed classes run 150-200 students in lecture halls, but the upper level major classes average 27 students. “It’s the students’ job to take advantage of the opportunities.” Classes are varied, as you’d expect from a school this size. A couple favorite classes were Cultural Text and Context about Egypt and Women in Global Politics. Campus sits in the middle of Richmond with almost no “central campus” in the traditional sense. However, location means there’s plenty to do, and students have opportunities to connect to the community, get internships, and apply what they’ve learned. The James River is minutes away from campus with hiking and other activities. Richmond itself is centrally located, only 1.5 hours to Virginia Beach and a little more than 2 hours to DC. VCU is a relatively new institution, starting in 1968 when 2 colleges merged. 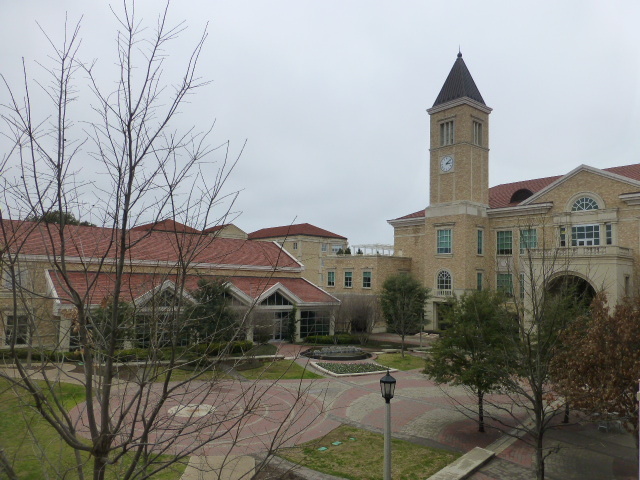 The main campus sits on the site of one school; all the medical programs (including graduate schools) are on the other one a couple miles away. The do offer a Guaranteed Admissions Program for some honors students into several of the graduate health programs as long as they meet the minimum requirements. This is not binding so it’s ok if they change their mind. Applications for this have a hard November 15 deadline; students need a 1330 SAT or 29 ACT and a 3.5 unweighted GPA. Beyond that, they should have done something to stand out such as shadowing or volunteering. Engineering has offerings in Biomedical, Chemical and Life Science, Electrical and Computer, and Mechanical and Nuclear. The Arts Department includes both visual ad performing arts. Visual arts are very much studio-based. “It allows us to establish ourselves and experiment,” said a junior painting/printmaking major from Kansas. “I wanted to go somewhere where I had the resources of an entire university.” He loves the program and is very happy with his decision to come to VCU, but said the downfall is that they don’t get any help in establishing a design portfolio. “We’re on our own to figure that out.” There also aren’t really any internships easily available or at least advertised. “I looked online; I think this major is the only one with nothing listed for internship opportunities,” he told me. Unusual offerings include Kinetic Imaging and Craft and Material Studies. 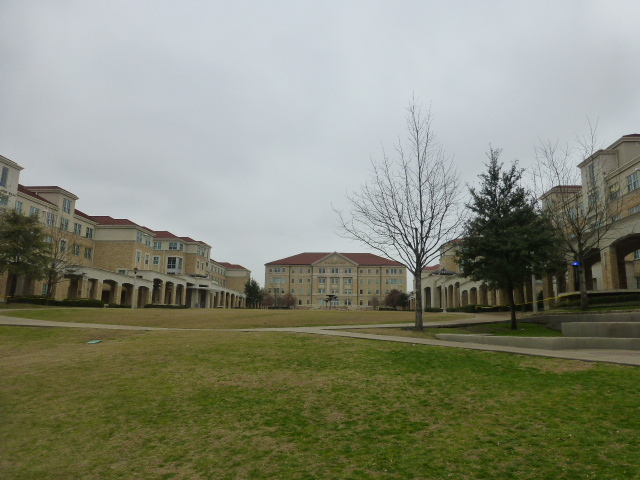 The plaza outside the main dining commons (to the left). The library is the glass building on the right. Humanities and Sciences, of course, is the biggest school. A few unusual offerings are Military Science and Leadership, Statistical Sciences and Operations Research, Kinesiology, and Forensic Science. The smallest majors/schools are Social Work (35 freshman) and Life Sciences with 51 freshmen (this includes Bioinformatics, Envi Sci, and Integrative Life Sciences; biology and other sciences are in the Arts and Sciences division). Students really like the diversity on campus. 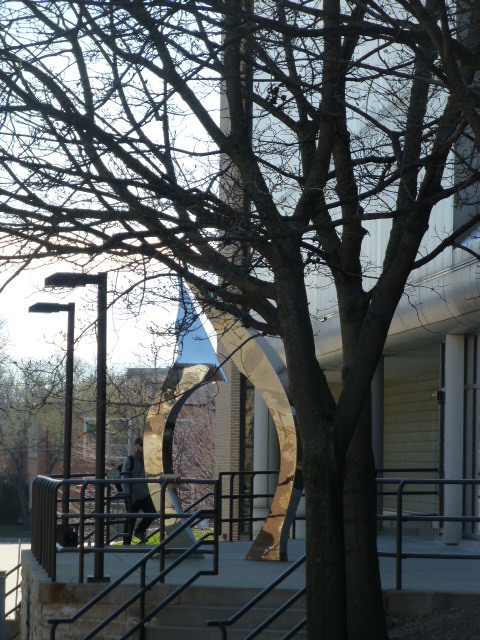 “Campus shows off the spectrum of people there. I’ve made friends from all over,” said one of the tour guides (we had 3). There are plenty of living opportunities such as LLCs and Global Living. There is no residency requirement, but 74% of freshmen do live on campus. Food gets good reviews from the students: “There’s so much food! They keep adding new options every year.” The dining hall sometimes runs what they call ‘Upper Cuts’ which serves “really, really great food!” according to one of the tour guides. It requires a second swipe on the meal plan. Restaurant Row, on one of the main streets running through campus, takes Rams Bucks. For students living off campus, it’s easy to find apartments and houses to rent near campus. Admissions is rolling, and it takes about 4-6 weeks to get a decision after application is complete. They recommend that students include their SSN on the app to facilitate the link to FAFSA. This streamlines, the process, reduces mistakes, and allows them to get the package to students earlier. Students applying by Jan 15 will get an answer by April 1 at the latest. Test scores are optional for students with a 3.3 GPA at the time of application BUT are required for merit scholarships, the Honors College, Engineering majors, and for homeschooled applicants. If you want to get considered for automatic-consideration scholarships – apply by 11/15!!! The Honors College will look at writing on standardized tests; regular admissions does not. Priority deadline for freshman Honors Program is 2/1. The Guaranteed Admissions program falls under the honors college: if you’re admitted to GA, you’re admitted to HC, but not vice versa! The application for GA is on the Honors College website and is completely separate from the Common App. 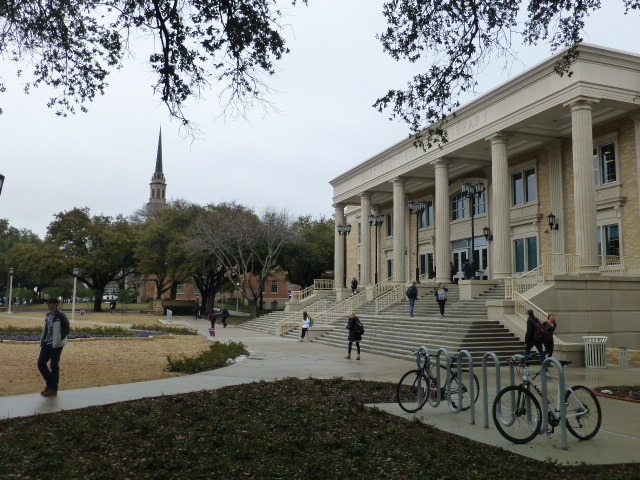 Washington & Lee is a traditional Liberal Arts and Sciences university, “underscore the AND.” They combine professional programs in the Williams School of Commerce, Politics, and Economics and Journalism (both interdisciplinary programs) with a liberal arts education. “Students don’t apply to the business program as they might in larger schools. I don’t want the Williams School to be a Venn diagram with the Liberal Arts: I want it to be completely immersed. We’ll teach things like Business of Contemporary Arts (co-taught by a Tax Accountant and Art Historian), Land in Lakota Culture, Economics, and History (co-taught by Anthro and Economics professors), or Cybersecurity (co-taught by a PoliSci professor and a lawyer).” Along the same lines, they won’t offer a 3+2 engineering program because they want the students to have the full undergraduate, liberal arts experience. Students in these programs are interested in the liberal arts and complete the foundations/distribution requirements, including the language requirement. Students who thrive here are curious, high-horsepower students. They’re near the tops of their graduating classes; they’re keyed into community and engagement. Loners/people who have an affinity to work alone won’t do so well here. Students seek out professors and like to argue/discuss points from class. “Teachers will instigate conversations that are uncomfortable for students. It makes us grow,” said a student on the panel. Last year they admitted 1200 of 5100 applicants. Just over half of the class of 465 were admitted through ED (I or II). Crossovers include UVA, William & Mary, Chapel Hill, Georgetown, Dartmouth, and Davidson. The Johnson Scholarship is awarded not just for outstanding academics but to those students who they believe will bring transformative leadership skills to campus. “We want them to be change-makers.” They bring 200 finalists to campus for 3 days and will end up awarding 70 scholarships. “We want to have a broad range of students. The Office of Diversity and Inclusion does a lot of outreach. We’re concerned about affordability and accessibility. We meet 100% of financial need and do not include loans.” Almost every state is represented (there’s no one from ND in this freshman class); VA, TX, NC, GA, MD, FL, and NY have more than 20 students. Almost 10% are first-gen. 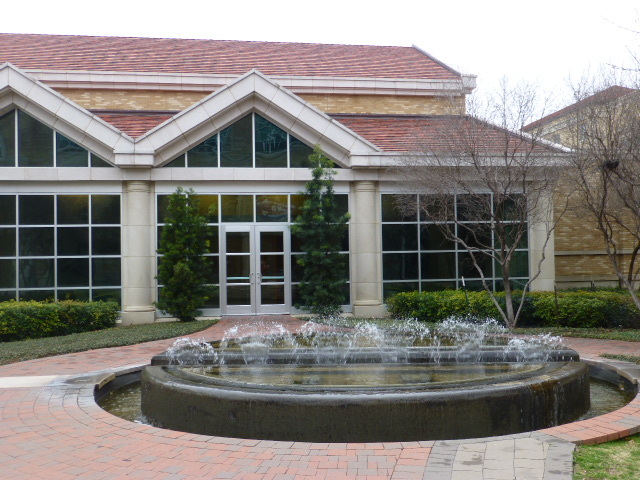 Although only 17 of last year’s freshmen self-identified as Jewish, they do have a relatively new, large Hillel building; the E-Café inside is Kosher Dairy. They also have Salaam, a Muslim Student Association. Honor System: “It’s a system, not a code saying that we will abide by the standards of the community.” This plays into exam schedules, too. Students can self-schedule their finals within the week, although some professors ask that their exams be done on a specific day. Others will give a take-home final and ask that it be brought back within 24 hours. Speaking tradition: people will greet you when you walk around. Their endowment allows them to provide “robust services” to students: they have an MD running Health Services, a psychiatrist on staff, deans for every class. There’s a lot to be said for community building, support, etc. Lexington is very much a college community: VMI is next door with 1700 students, and the law school has another 350. They have a loose connection with VMI in that they will attend speakers and some other events happening at the other campus. All the seniors live off campus which helps mesh town-gown relations. W&L now requires all students to live on campus for 3 years – but only for 3 years! They recently built a “Junior Village” with has a café and dining hall; a pool is being built. Some Greek housing is in town, and there are 6 sorority houses near the football field. Usually sophomores live there. Rush is in the spring. Originally a stable, the doors are now left open because the story says that Lee’s horse Traveller haunts the building and will shake the doors when they are shut. Students have a lot of school spirit. “We may be DIII, but we have football!” They have tailgates and an annual Lee-Jackson lacrosse game which both draw huge crowds. The Thanksgiving Dinner even draws community members. UNH should be on far more people’s radars. This is just an amazing school. 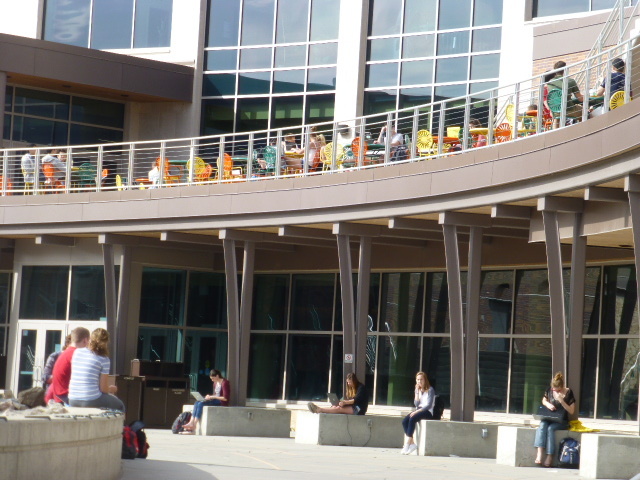 I liked the vibe here; students were friendly, outgoing, outdoorsy (including just wanting to be out and about on campus), and smart. For a state school, it is not an overwhelming size, either physically or in population numbers. It’s beautiful with a mix of historic and new buildings, with facilities that offer a great deal to the students in the academic and social realms. There’s something to be said for the liberal arts within a comprehensive research university. Students who are most successful here want to be challenged and stretch themselves in and out of the classroom. Students who like UVM should also seriously consider UNH. It won’t disappoint; they take care of students, and students want to stay. Freshman-to-sophomore retention (86%) and graduation rates (67% in 4 years, 79% 6-year) are above average. Not an uncommon scene on campus: students were everywhere! Last year, applications topped 20,000 for the first time with the out-of-state population growing. Part of this is demographic (there are fewer college-aged students in NH); the other part is reputation. In the admission process, they focus mainly on the transcript: have students taken the minimum (at least!) and done well (looking for mostly Bs or better)? The SAT/ACT is not crucial for admission, but comes more into play for merit awards. They only require 1 letter, preferably from the counselor. In terms of admissions, Nursing and OT are the most competitive to get into. A major distinction for UNH is its location and size. The physical campus size is manageable, but more than that, there are so many options accessible to campus. They’re only 30 minutes from the ocean and beaches, and the mountains and urban areas aren’t much further. Portsmouth, a medium-sized city, is 20 minutes away, and students can use UNH transportation to get there. There’s even an Amtrak stop on campus; students can be in Boston in an hour, or head up the coast into Maine to Portland or Freeport (home of LLBean!). Housing is guaranteed for 2 years. Of course there are lots of social options, as at any school of this size (13,000 undergrads at the Durham campus; there are about 1,000 more at the non-residential Manchester campus). Something the students appreciate is that “One thing doesn’t dominate campus: we have Greek life, we have football and hockey, etc – but none of those dominate the others. You don’t have to belong to a certain group or do a certain thing to belong here.” Only 10% of students go Greek. Hockey is one of the most popular sports. This is a great option for students who want engineering at a medium school. However, their excellent academic choices and resources go far beyond that. 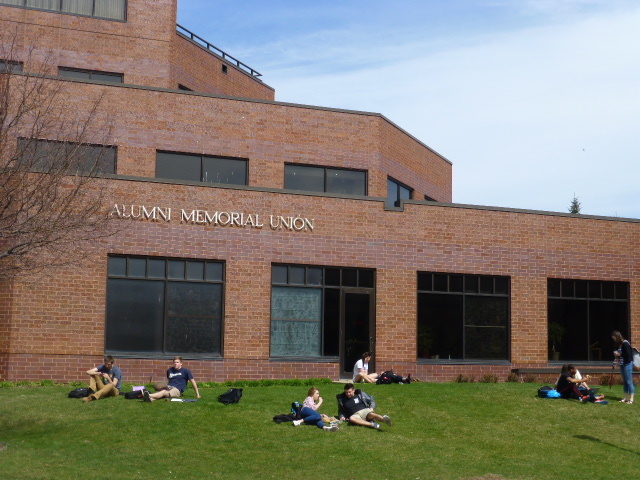 Started in 1866 as New Hampshire’s Land Grant institution, UNH has now also earned Sea and Space Grant designations and offers over 100 majors. It’s not surprising that the College of Life Sciences and Agriculture options are strong and varied, including EcoGastronomy, Sustainable agriculture and food systems, and Marine, Estuarine, and Freshwater Biology. Their sustainability efforts are amazing: they get almost ¼ of their food from local and/or organic sources, and they’re the first land-grant school to have an organic dairy farm, and they make their own ice cream on campus. They gave us scoops for dessert; not only did they have great flavor options, but it tasted better than most I’ve tried! Resources are strong across the board, but Ocean Engineering and Marine Biology have some unique resources at students’ disposal. UNH co-runs the Isle of Shoals Marine Lab with Cornell University. Students spend a great deal of time researching out there, particularly in the summer (they can live on the island!). The Ocean Engineering labs have 2 wave pools; the military even asks to use this for research. Computer Science students have labs to try to break into a variety of systems as part of CyberSecurity training. 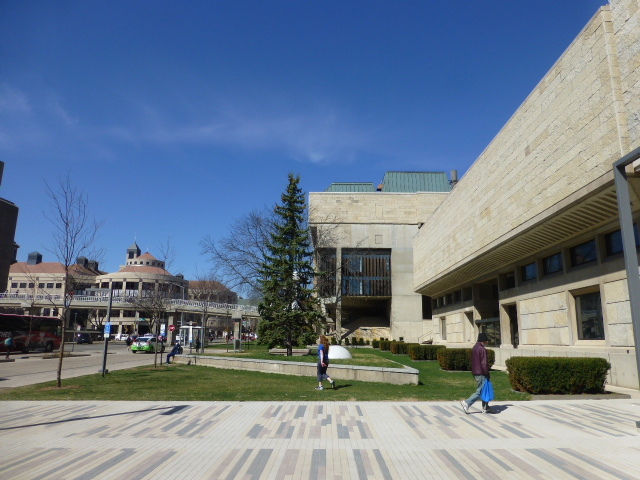 This is a physically impressive campus (stone buildings, a tower, an imposing main building on a hill) located less than 20 minutes outside of Philadelphia. I had wanted to visit for a long time since I’d already seen Haverford and Bryn Mawr, the other schools in the Tri-Co (3 College Consortium). Unfortunately, the students don’t seem to be as engaging as they are at many other schools I’ve visited. Several students independently mentioned the “Swarthmore Bubble.” There doesn’t seem to be much need or desire to leave campus, and it shows in their attitudes: no one seemed excited to get to know anyone or take advantage of opportunities beyond the campus boarders, even though the town is nice and a SEPTA train stop is literally on campus, making travel about as easy as it gets. “We go into Philly for a specific purpose. It’s not like we say ‘Hey, we’re bored, let’s go to Philly. It’s a supplement not the core of social life.” One student is part of the Tri-Co dance group so she practices on other campuses, and she has gone to hear speakers. 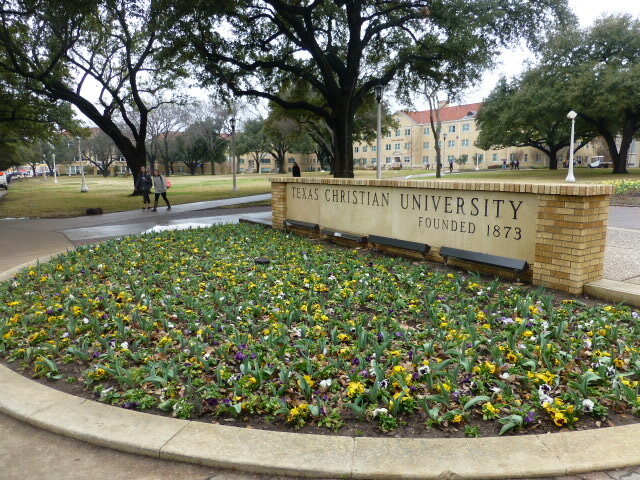 None of the students I spoke to took advantage of other campus for class or anything else. Swarthmore is the most distant of the 3 schools – about 25 minutes away – but that’s certainly not prohibitive. I did see a Bryn Mawr van on campus dropping off students. Swatties are very smart and want an academically intense program. Almost 20% of alumni go on to complete PhDs (3rd highest in the country). Our tour guide said, “It’s intense. You have to do the work and understand it or people will know – but there’s no shortage of help around if you want it.” Tutors often have names that play on their discipline: math tutors are Pirates (they work with Pi) and physics tutors are Jedis (they work with the Force). Even after that semester, students have 4 more classes they can take P/F. The student speaking at the info session said, “It’s nice to know that I can calculate the structural integrity of oak vs. steal, but it didn’t have to affect my GPA.” The tour guide said that they can decide fairly late in the semester if they want the class to be P/F. Distribution requirements are fairly flexible: 3 classes each in Humanities, Social Sciences, and Physical/Natural Sciences, a foreign language, 3 writing intensive classes (taken in any discipline), and 4 credits of PE (completed through classes or outside things like an athletic club such as swing dancing). This is one of a few Liberal Arts colleges that has its own BSE degree (not a 3+2 program), and students don’t have to declare their major in engineering early. They can come in and test it out. Even within this program, things are somewhat interdisciplinary. For example, there’s a class call Food Engineering that’s cross-registered with biology. The Honors Program is more like an external exam program and just a different way to study. It’s something that students decide to do while they’re here rather than a program they apply to get into. The GPA requirements differ by major, and if they do an Honors major, they also have to do an Honors minor. About 1/3 of students will take part in it, and it’s so integrated into the rest of the system that people often have no idea who is doing it unless they happen to mention it. Seminars have about 8-10 students focusing on inquiry and discussion, and they bring in someone else to write the exam as well as conduct the oral exam. Almost all students (98%) live on campus all 4 years. All years and majors are mixed throughout the dorms. The 2nd and 3rd floors of the main building (also home to administrative offices and admissions) are dorms. A student said, “I lived in this building my first year, and I actually met with Deans in my PJs. It’s pretty informal here.” Food does NOT get good marks from the kids. When we first asked, the tour guide paused, and then said, “Let’s wait until we get outside.” She is not impressed – and I overheard another tour guide telling his group that he wasn’t thrilled with it, either. UCSD is clearly doing something right: they boast a 94% freshman to sophomore retention rate, and the average time to graduation is 4.3 years. Students who are engaged in their own learning and are ok making their own way will do very well here. 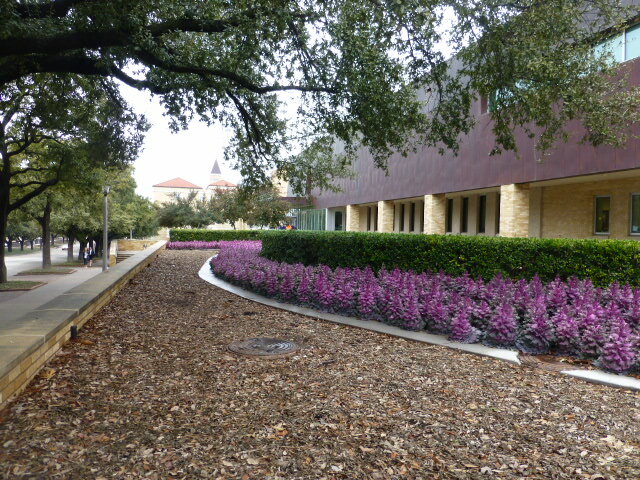 LIbrary Walk; you can just see the Geisel Library in the background. Campus is sprawling and not-quite-attractive, located only a couple miles from the beach. Architecture is mixed: old and new, concrete and wood. 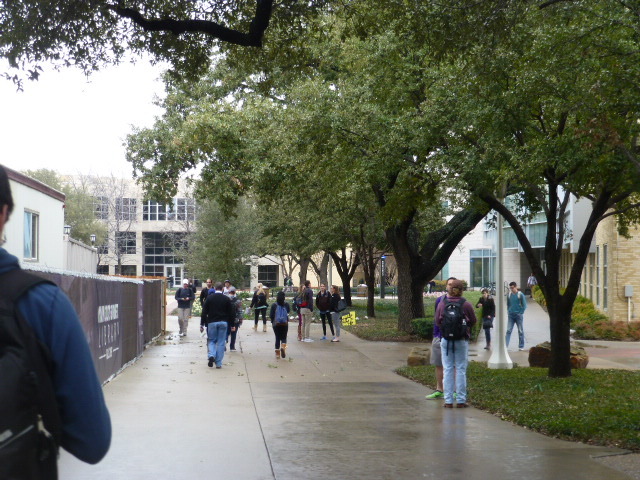 The Library Walk is the campus’ main artery. “During the school year, this place is packed. Clubs try to sign you up. 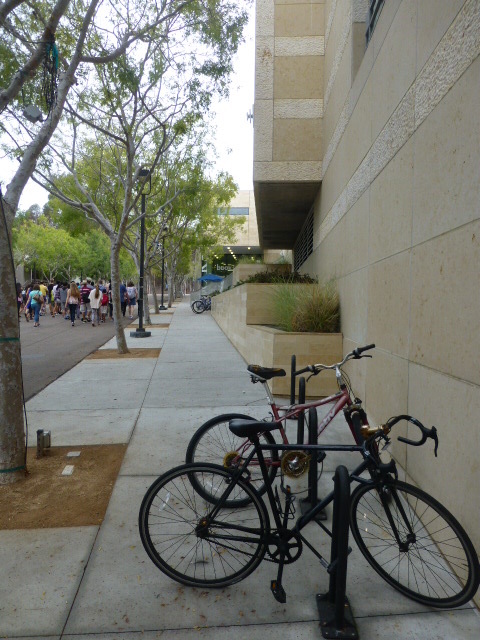 Students are everywhere.” Geisel Library (on one end of the walk – the Med library is on the other end) is the most impressive structure we saw (I would have gotten a picture except it was pouring!). It was named for Dr. Seuss who lived in La Jolla. His widow donated many of his things to the university. 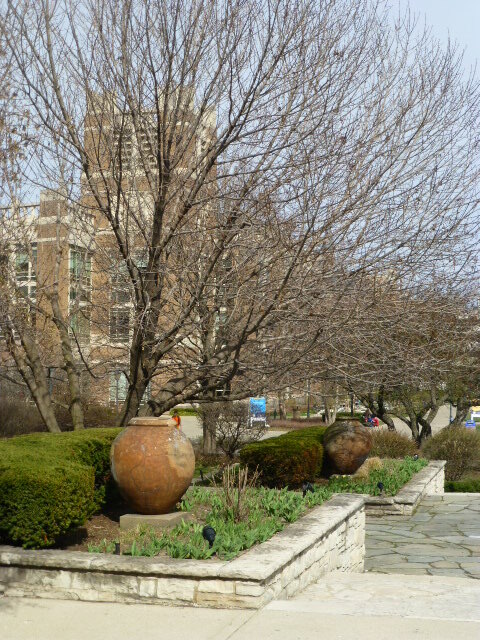 Many trees on campus look like the Lorax. 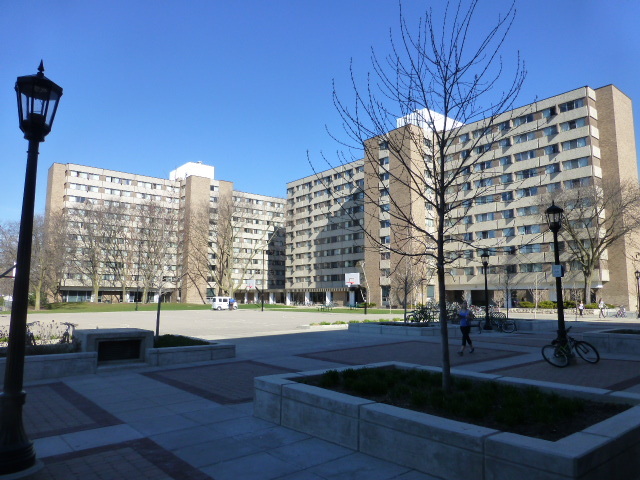 Much of the tour focused on housing. They have a 6-college system based on Oxford, and it’s supposedly the only other university with the same system. At first this seemed wrong but they didn’t explain it well: both the admissions rep at the info session and the tour guide made them sound like residential colleges at many other schools. I walked away without knowing what made them different. I went to their website to figure it out. These colleges (like residential colleges at other large schools) make this 24,000 undergraduate institution seem smaller. Students rank the colleges in order of interest. “It’s like Harry Potter. You get accepted into Hogwarts and then get split into living areas later.” What makes the colleges different are the themes, philosophy, and general education requirements based on where they live. “You should consider the college’s philosophy and the architecture when deciding where to live.” The tour guide was stuck on the architecture but none of the 3 colleges walked through were all that different. We didn’t go into any rooms – or even any of the buildings – because of the supposed differences. The most significant difference is the general education requirements. This gives students some control over how and what they study. Muir College is environmentally based. They run the interdisciplinary Environmental Studies Students complete a 2 course writing sequence. Roosevelt College, named after Eleanor Roosevelt. 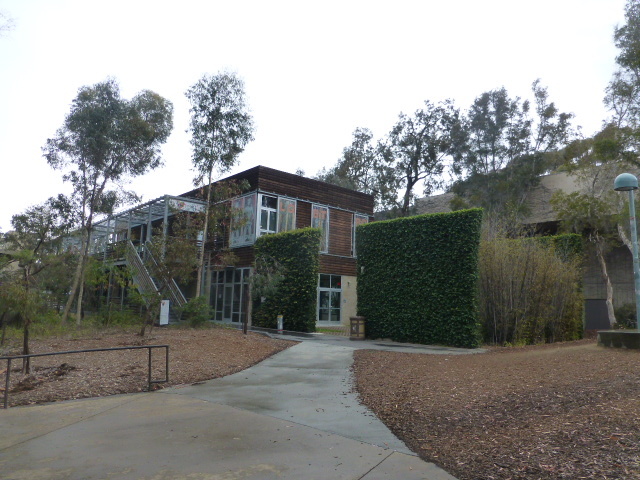 The International House and two specialized minors (International Migration Studies and Human Rights) are found here. Sixth College (“If you brought your checkbook with you and have wanted an opportunity to name something, now’s your chance!”). One of their Gen Ed requirements is the Culture, Art, and Technology They’re also known for their Chocolate fest (even though each college hosts events that are open to all students, this is the only event that got mentioned). Housing is guaranteed for 2 years for freshmen and 1 year for transfers. There are singles, doubles, and triples in most colleges. Finding off-campus housing is relatively easy with websites such as a Facebook page to help find potential roommates, apartment-shares, etc. Shuttles to popular off-campus housing areas run about every 15 minutes, and students can use public transportation on the weekends with student ID. The campus loop shuttles run about every 20 minutes. Admissions is competitive; approximately 1/3 of the 78,000+ applicants are admitted. 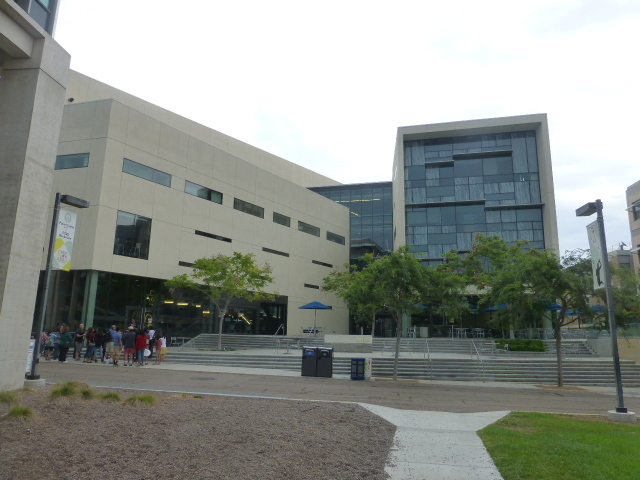 They look at only 10th and 11th grade weighted GPA; if a high school doesn’t weight, UCSD will weight it with a cap of 8 AP or honors classes given the boost. Testing must be completed by December. This was one of the first schools I’ve heard that talked up summer programs while discussing activities. Scholarships are few and far between (only about 200). The student body is about 81% in-state. There are no quotas; the rep said that admissions generally reflected the application pool. The UC application – and test scores (“Don’t waste your money by sending them to more than one,” said the rep) – can be viewed by all UC schools to which the student applies, but be aware of any supplements required by some campuses – and yes, the $70 fee must be paid for each application! Students are admitted to the university, not to a major. Currently, engineering is the only impacted major. Students may get accepted to UCSD but cut from engineering. “If you want engineering, aim for higher than the averages.” Switching majors is easy to do except into engineering: “Don’t make it your first choice plan,” said the rep.
There’s a Pass system for registering for classes: students are ranked according to their earned credits. Students can then register for 2 classes per “pass” – everyone can register for 2 before the first group gets their 2nd Pass and can register for 2 more. Students who are struggling can buy lecture notes for about $30 a semester. The notes are taken by student who has already earned a B+ or better in class, and are then looked over by the professor. The guide also really pushed office hours. Professors are only required to have 1 hour a week of office hours; having attended a college where professors had 4 or 5 hours a week, this seemed light. Some of their more unique majors include: Urban Studies and Planning, Nanotechnology and NanoEngineering, Math – Scientific Computation, Bioinformatics, Pharmaceutical Chemistry, and Literatures of the World. I didn’t get a good sense of social life on campus other than getting the normal run-down of clubs and that each college holds social events. Greek life apparently isn’t huge, but the tour guide wasn’t able to answer questions other than to say that the Social Greeks are not as big as the Academic Greeks. This is the only school I’ve visited that let us into their Cadaver Lab which was much bigger than I imagined; I thought it would look more like an autopsy room with maybe 2 or 3 bodies – instead, there were probably 25 or 30 stations, most with groups of 4-6 students surrounding it working diligently. Not surprisingly, Health Sciences are strong here. Students admitted into these programs average a 28.6 ACT and have a strong science background. Calculus isn’t necessarily required since programs tend more towards the statistical side. When applying to Marquette, students indicate their 1st and 2nd choice COLLEGE. Students are admitted to the college, not a particular major with the exception of Nursing and Athletic Training. Generally, indicating 2 colleges allows Admissions to consider applicants for 2 places. However, since students cannot transfer into Nursing as sophomores, they’ll only be considered for that even if they list a 2nd choice college. Students an do an art minor with Milwaukee Institute of Art and Design! Elementary Ed students major in a subject area AND education. They have a full teaching area that looks like an elementary school with rugs, books, etc. Upper level students run reading labs and have clients all semester. Doctor of Physical Therapy: Students can do a 6-year combined degree by majoring in anything but Education or Engineering and then jumping into the graduate degree. They receive about 1400 applications for an enrollment of 62. Physician Assistant: they get about 900 apps and accept 14. Students apply after their first year; if admitted, they can finish in 5 years instead of 7. Exercise Physiology or Athletic Training majors work well with the PT program but students can major in almost anything. Applied Investment Management Program. Students invest real money and must present the outcomes to the Board of Trustees at the end of the year. 75% pass the exam the first time (national average is 40%). Students must intern during the summer between Jr and Sr years. One of the Material testing labs in the Engineering Building. Engineering: This program is 4 years old; facilities are top-notch! We talked to students who were building easily foldable/portable children’s walkers for use on playgrounds and will easily go over wood chips and grass. There was a local need for this, so students were designing, building, and donating several of these. Nursing: Nursing is highly selective: 100/1800 applicants are admitted. Students go on mandatory spirituality retreats, “but not JESUIT retreats!” said the Dean. They want students to grapple with larger issues starting with “Who are you?” to issues of life, death, and dying – from whatever religion (or no religion) a student is coming from. Unlike many nursing programs, study can study abroad on a few programs include maternal health in Peru, partnership with SLU. The Simulation lab like a professional area. Everyone in there is in uniform and treats it like a job. Milwaukee is a great college city with the country’s 6th largest student population per capita. 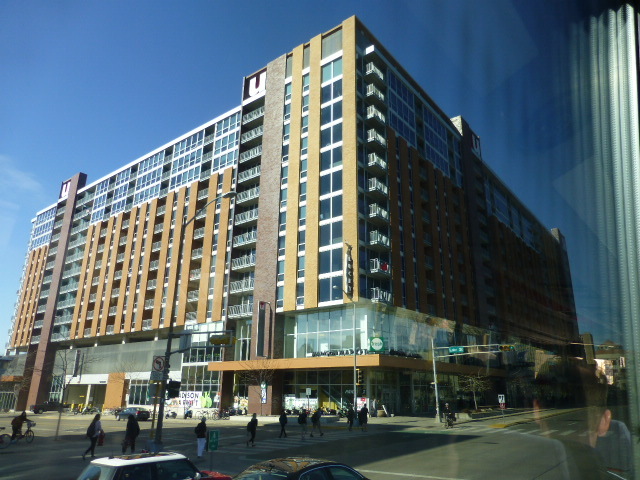 Marquette is integrated into downtown. Students have a wealth of cultural and job opportunities at their fingertips. The Courthouse and an Art Museum are each a block away, both of which provide internships – as do places like National Mutual and other businesses. 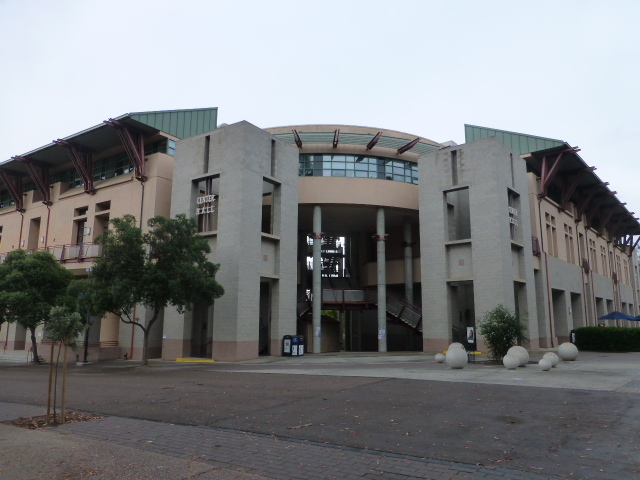 There are several theaters, and free concerts happen regularly in Cathedral Square. Milwaukee hosts a 10-day Summer Fest, the largest music festival in the country. 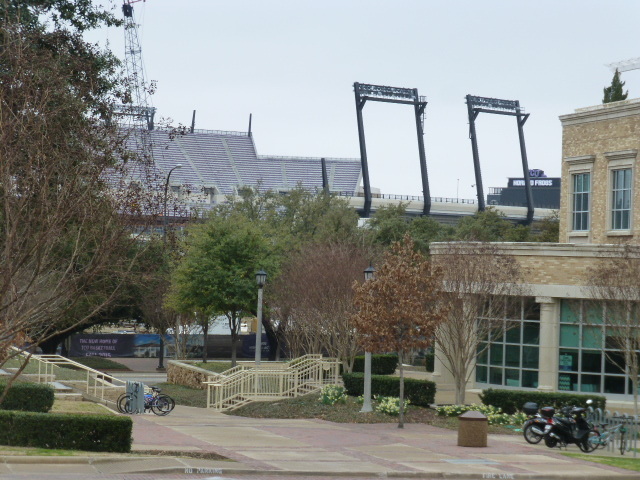 The stadium is a few blocks away, as is River Walk, a walking/jogging path. The Old Warehouse District has been revitalized with pubs, stores, and restaurants. Students can ride city public transit for free while school is in session. When (if!) students get bored in Milwaukee, the Amtrak station is 7 blocks from campus, making it easy to get into Chicago (1.5 hours away). 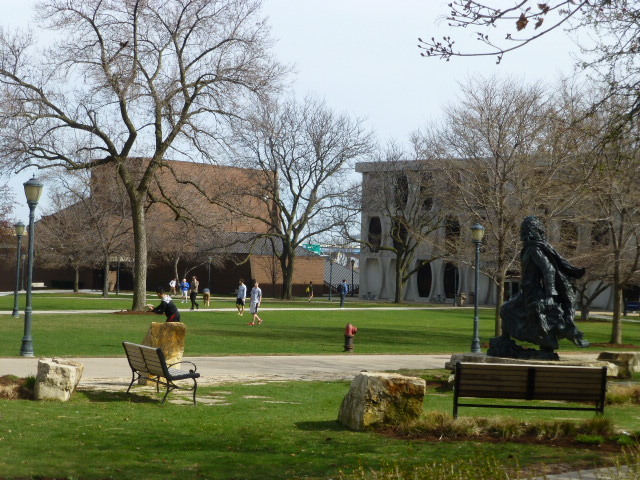 Marquette is one of 18 Jesuit universities in the US. Jesuit schools share a educational philosophy of using knowledge and service to make the world better. Rooted in the Liberal Arts, they stress critical thinking and teach their students HOW to think, not WHAT to think. 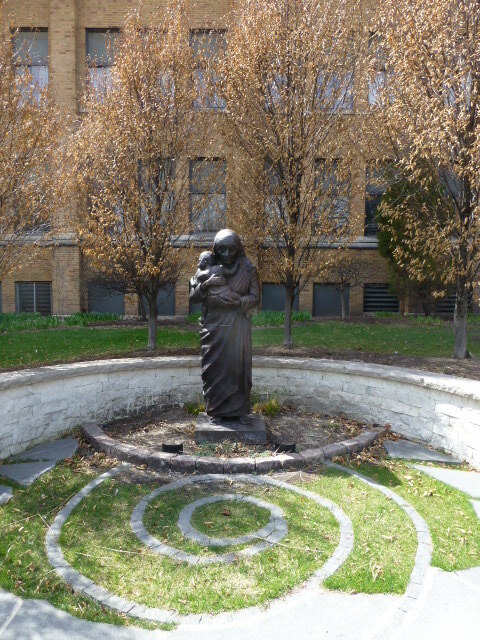 Approximately 60% of Marquette students self-identify as Roman Catholic; others represent a range of religious diversity. The Chapel of St. Joan of Arc is on campus. Built in the 1500s, it was dismantled and brought to Long Island from France in the 1920s. In the early 1960s, it was given to Marquette. Masses are still held here. Although we didn’t get to go inside to check this out for ourselves, the tour guide told us that there’s one spot near the altar that’s always a couple degrees colder than the rest of the building. Science students have done experiments to try to figure out why. Students are serious about their education but are also active outside the classroom. People need to want to be involved. Greek life is there, but not huge (about 15% of students affiliate). There’s some Greek housing but it’s small. The theater department puts on 5 big shows a year. “Late Night Marquette” got mentioned a couple times by students where they’ll have a chocolate theme, a casino night, and other things like that. ROTC: Marquette is the host institution for all 3 branches for students in Milwaukee. Honors: They’re looking to grow this. They currently get about 400 apps for 100 spots; the application is due by 2/1 and requires several essays. Honors students take small core classes with other Honors students, meant to bring together as a group. After that, they can contract with professors to make any class as an Honors class. Study Abroad: If Marquette doesn’t have a program a student wants, they have the option of going through Loyola in Chicago. Almost all freshmen and about half of all students live on campus; a new residence hall is opening in the fall. There’s a variety of housing types ranging from singles to quads; many triples and quads have their own bathrooms. Students can live in suite styles as a freshmen. One student said that dorms are “good, not great” and large. Honors Housing is in a “Tower” with lake views – some of the best housing around. “Food is good. There are options in different dining halls like Italian, 50s diner, traditional buffet.” Students can eat in any of the dozen or so spots on campus with their meal cards. 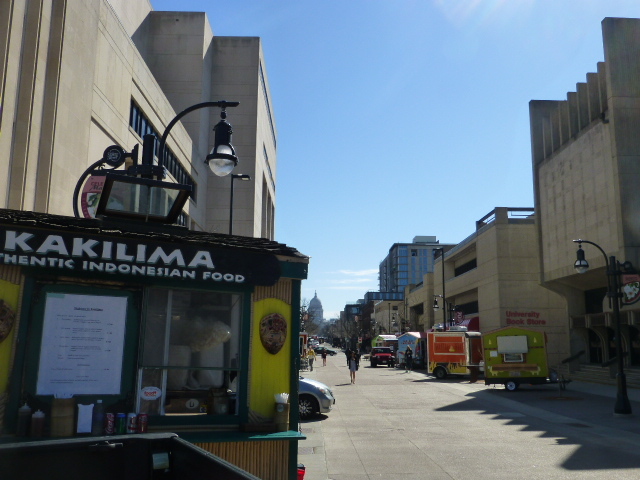 Food trucks line one of the streets going through campus. 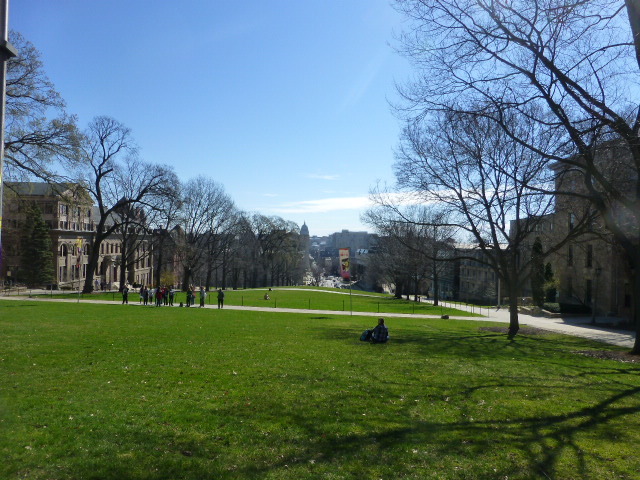 UW-M is a typical large, sprawling state university that is integrated into the city of Madison. A current student gave great advice for survival on such a big campus: “Don’t be afraid to ask questions and advocate for yourself! You can make the campus small but you have to work for it.” Students who do well are willing to stick up for themselves and to think about how to make choices. They have to be able to sort through a lot of options. The university will try to make students aware of opportunities, but the students have to go out and take advantage of them. It seemed that students are taking advantage of things that are there. Students were everywhere (not difficult with an undergraduate population of just over 30,000 students), including hanging out in the union late into Wednesday night, reading, talking, etc. Most new students (93%) live in campus housing but are not required to do so; about 75% of all residents are new students. 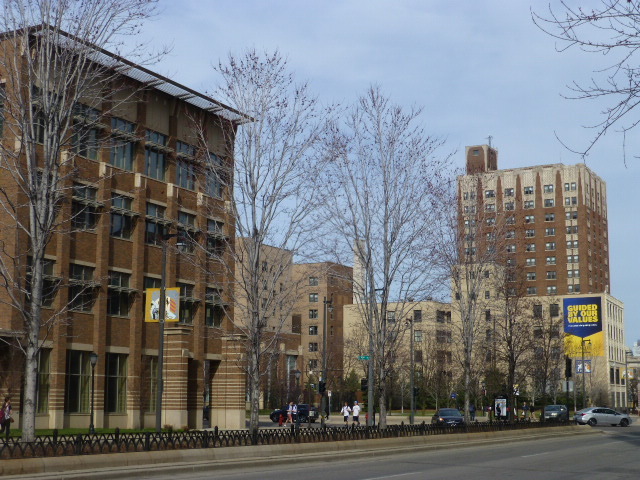 There are 19 residence halls (4 first-year only, 4 upperclass only, the rest mixed years) split into Lakeside (“the peaceful and more traditional side,” said one student) and Southeast Neighborhoods. Ten are Learning Communities, including Women in Science and Engineering, GreenHouse, Open House: Gender Learning, and Career Kickstart. Students in LCs complete a 1-3 credit learning component taught by live-in faculty. About 20% of students enroll in a First-Year Interest Group, or “FIG” which includes 3 thematically-arranged classes on one of about 60 tthemes. “I heart FIG,” said one student. “To this day, I have a group of students I keep in contact with. We study together, help each other out, still talk to the professor. 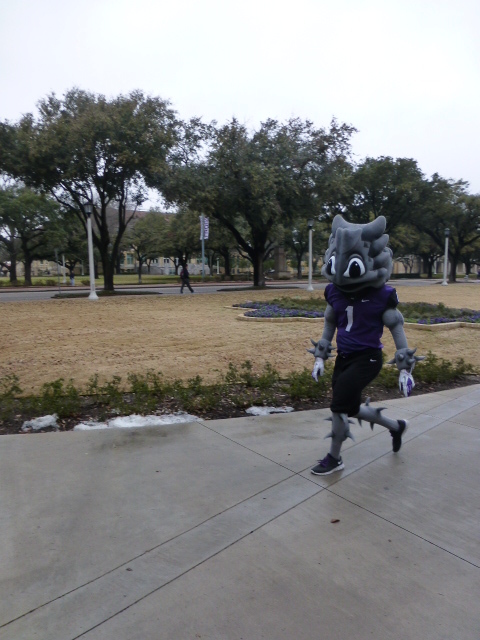 He even came to zumba with us.” Clearly the university is doing something right: 95% of freshmen return for sophomore year – although they attract passionate students who are committed to education in the first place. 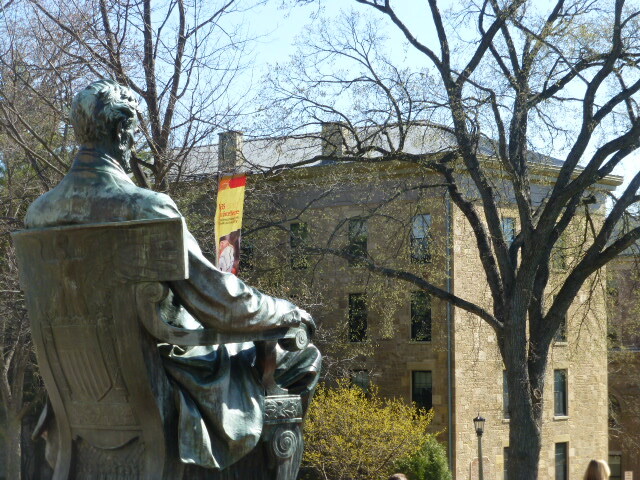 A statue of Lincoln overlooking the original section of the campus. 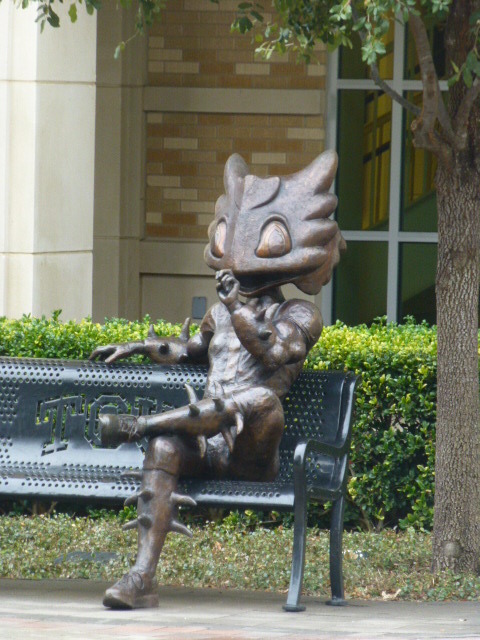 Students rub his foot for luck and take graduation pictures at the statue. One of the coolest academic facts is that 87 languages are taught here including several African Languages (Swahili, Zulu, Hausa, Arabic, Yoruba, and more), Ojibwe through the American Indian Studies program, all the Scandinavian languages (including Sami, Icelandic, and Old Norse), and several Slavic languages (Czech, Polish, Russian, and Serbian/Croatian). Students can receive retroactive credit by testing into and taking a higher level class (ie, if they test into 202, they’ll get credit for all 4 classes for taking 202). There’s a huge sports culture here, as you might guess. 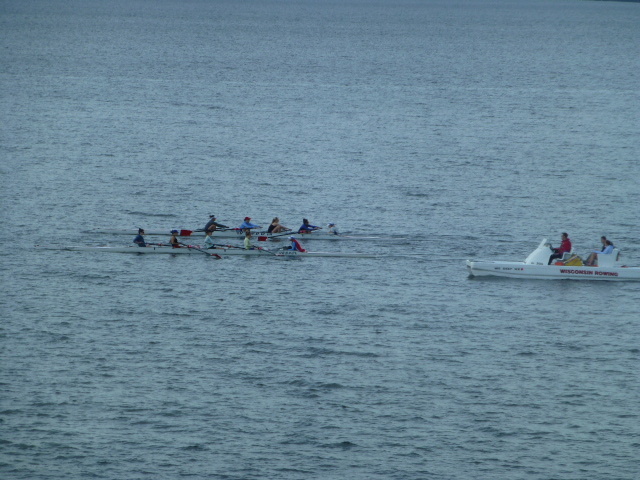 The crew team rows right by campus; we saw boats go by from our reception in the union. The students said that the only real traditions they could think of revolve around sports: band performances are huge; they have “5th Quarter” which sounds like an after-game party/event. The only other tradition one student could think of was “Battle for Bascum” which is a giant snowball fight between the Lakeside and Downtown dorms. Despite the number of applicants, admissions is holistic. Because of the competitive, selective nature of the school, “we do have to make split some hairs sometimes when making admissions decisions,” said one admissions rep. Numbers alone do not determine admissibility but do guide the process. The admissions office believes that the more students do in high school and their communities, the more they’ll contribute to campus. They’re looking for people who have dug deep and found roots – in other words, quality of involvement over quantity. They look at essays to see if students write concisely at a college level. Recommendations are not required, but the most serious students send them (please don’t send more than two!). They won’t recalculate GPA but don’t hold unweighted GPAs against applicants. They no longer require the writing section of the ACT (and won’t for the new SAT, either). Scholarship applications are separate and can be found at scholarships.wisc.edu. This must be completed every year that a student wants merit-based aid. 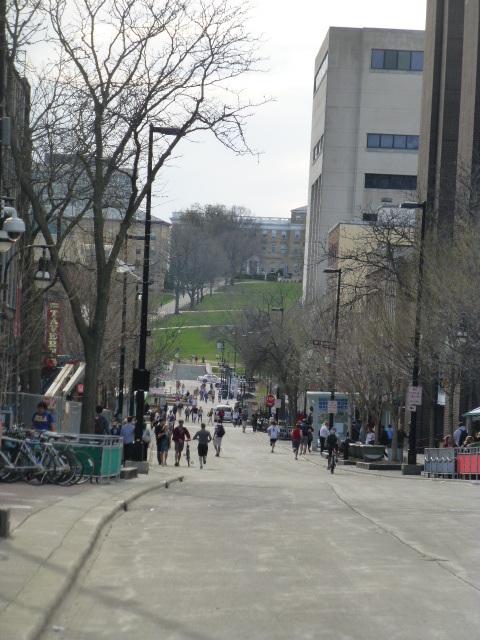 Wisconsin and Minnesota grants reciprocity for in-state tuition. However, they have a total allowable non-resident enrollment rate of 27.5%. UW-M works on Notification Periods, NOT early action! Apply by 11/2, hear by end of January; apply by 2/1, hear by end of March. They may “postpone” (aka defer) during the first round; they will rarely waitlist a student who has already been deferred, but it can happen.